The Stellar platform has witnessed a lot of attention as of late; and in the midst of a down market has held strong in its ratio against Bitcoin. One reason for the excitemen behind Stellar are the projects being created that are using its platform. Ethereum has been credited for opening a new horizon for all sort of blockchain oriented applications, Stellar, on the other hand, has earned credibility through projects like those below, keeping its reputation strong as a powerful player in the crypto space. Below are eight projects to get you excited on the stellar platform. Leading technology giant IBM is using the Stellar network to give more transparency into their payment structure. Though the tech giant has partnered with lots of banks of all sortsprivate and federal and state-backed including central banks, especially in the Asian Pacific region, it’s looking to see what Stellar can provide for it. According to the head of Blockchain solutions at the firm, Jesse Lund, the company is close to helping a central bank move paper money onto the Stellar blockchain network. Analysts have envisaged that the Stellar/IBM partnership could eventually replace the SWIFT/IBAN payment infrastructure as a global standard. If this happens, it will have a big impact on the XLM cryptocurrency in a great way. Veridium is in partnership with both the IBM and Stellar to tokenize the carbon credit market globally. The new start is bent on incorporating their native token, VERDE with the trading platforms that deal with oil and gas, in a bid to automate the process of offsetting carbon emissions. This means that, when an individual or an establishment make a purchase, they have the option to purchase a corresponding amount of carbon credit to offset their activities. For big corporations and established institutions, it could serve as a basis for achieving carbon neutrality. It can also help with achieving environmental accountability among others. 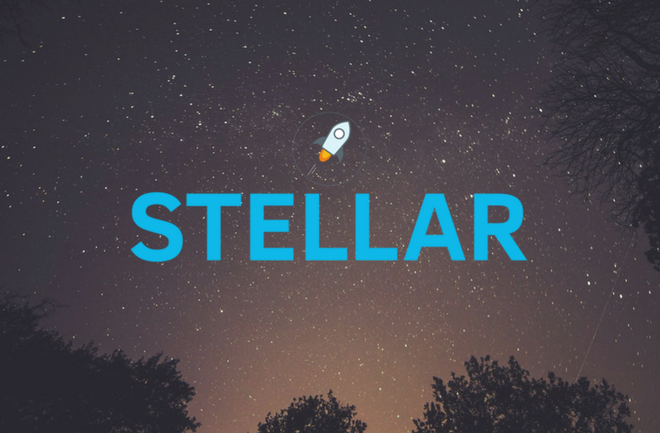 In its bid to become a major player and an authority in the peer-to-peer decentralized exchange industry, Stellar X is putting all hands on deck to create a great user experience. Having Stellar behind it brings some concern on the “decentralized” aspect, but if it can be a great exchange it could boost Stellar and DEX’s range of activiy. The major feature could give it an edge against other DEX platforms as its been able to leverage the Stellar Anchor Network. Open Garden allows its users to turn their phone into a wifi hotspot and get paid in Lumens for data used. It may not pan out in USA and Europe, but fits perfectly into Stellar Market Base, since its target is mostly places where internet connectivity isn’t available to most people. The platform is planning on establishing a thoroughbred point-of-sale service on the Stellar Network. This would be way cheaper if weighed against credit and debit cards and Apple pay, while automatically calculating loyalty points. To ease the burden of the paper receipt, the platform will offer a digital alternative to rid this issue. Real Estate is a hit with investors of all kinds. Since its relatively risky to buy real estate in a foreign country with lots of rules and regulations, Slice is tokenizing real estate projects previousjly only accessible to institutions that are established in the U.S. Though the competition is rife in this market and real estate worldwide, Slice is pretty confident of its survival. Africa is a big market, and the number of Africans abroad means that they will have to send money home. Sure Remit is a remittance network that Africans can use to send money home to their loved ones. It has also partnered with Stellar, with branches in Kenya, Rwanda and other African countries. Africa is said to be its biggest Market, with billions of dollars sent home by Africans abroad, every yearly. It can also be used to pay utility bills online and also e-shops. SmartLands is all about tokenizing agricultural lands on the Stellar Network. This is a point in the right direction, as cryptocurrency is gradually fazing away fiat currency, and enabling the use of cryptocurrencies for acquiring landed properties. It’s a foresight that could pay off with great dividend if cryptocurrencies become valuable enough to reach rural and agricultural investment and developments. Excited about these projects? You can buy or trade for Stellar’s native coin (XLM) on Binance—our preferred exchange. Here’s our guide on how to buy XLM.